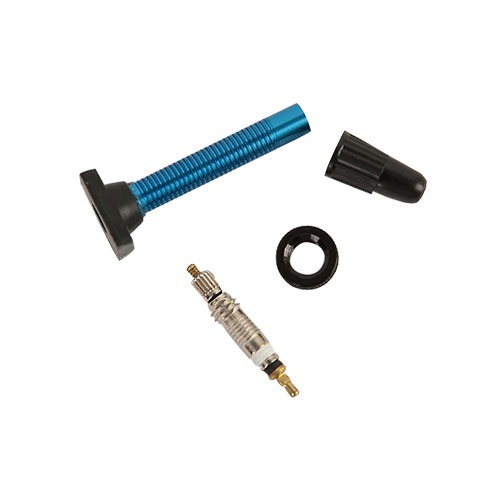 Our Aluminium Tubeless Valve Stem is a lightweight, high-end mountain bike component, designed for enthusiasts looking for a lightweight, colored alternative to Brass Tubeless Presta Valve Stems. 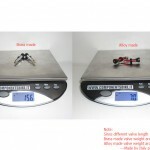 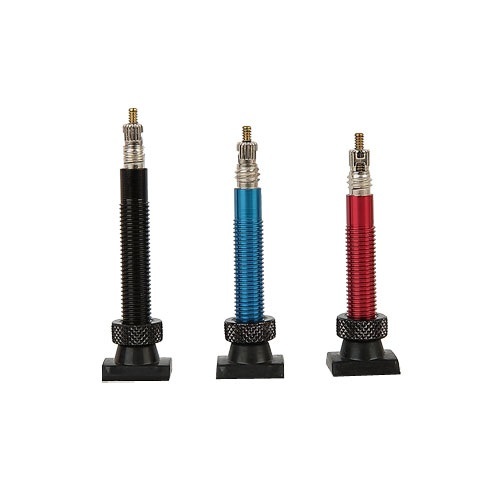 Choose between round rubber base or the more traditional square base to ensure perfect compatibility for each rim design. 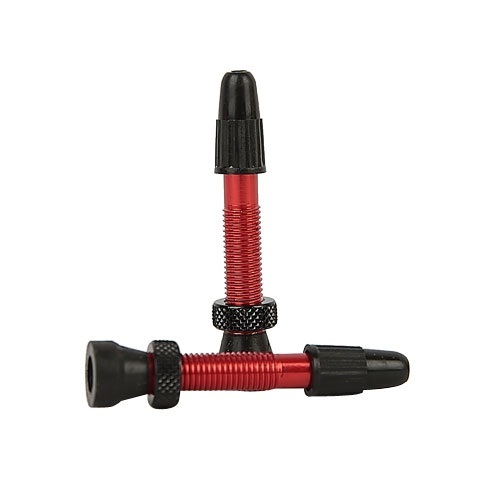 A solid valve collar ring secures the valve to the rim, eliminating annoying slow leaks when tightened properly. 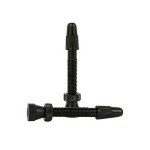 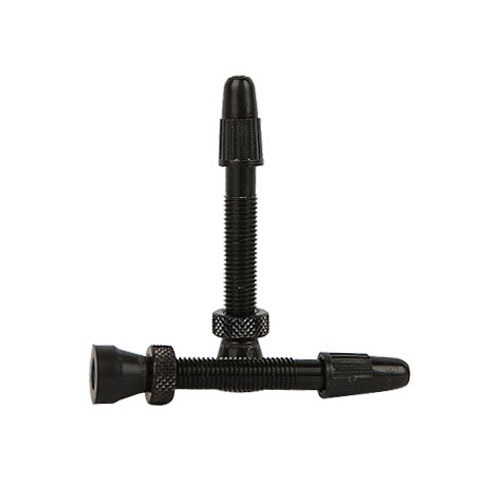 As with all Wistio valves, the removable valve core be easily unscrewed for adding sealant. Our standard aluminium tubeless valve stems come in 34mm, 36mm and 40mm lengths however we are able to supply custom valves in lengths ranging from 32mm to 120mm. 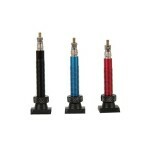 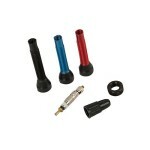 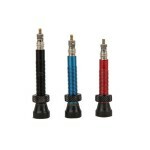 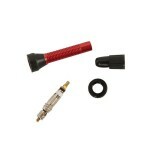 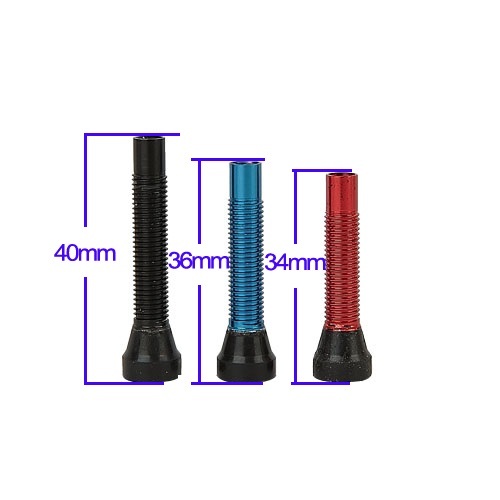 Standard colors are black, red and blue, however we can produce custom tubeless valves in a range of other colors. 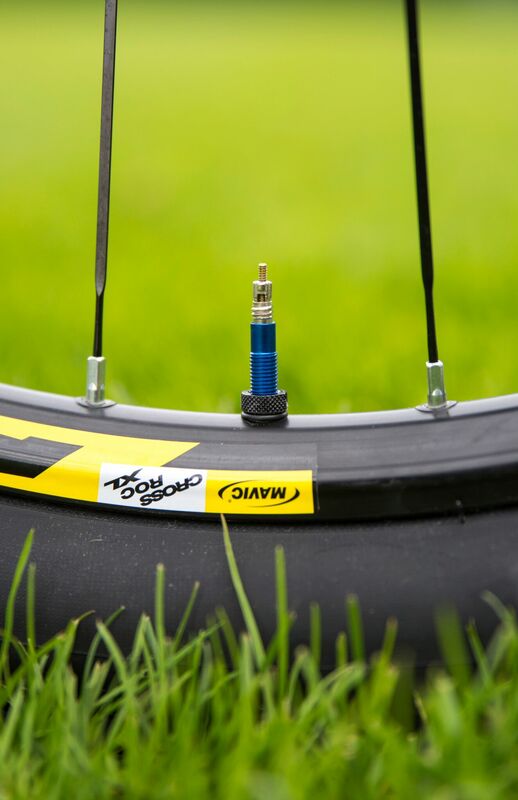 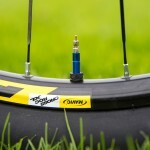 The videos below aim to describe the features of both our round and square base aluminium tubeless valve stem, however we welcome enquiries for more information on our products. 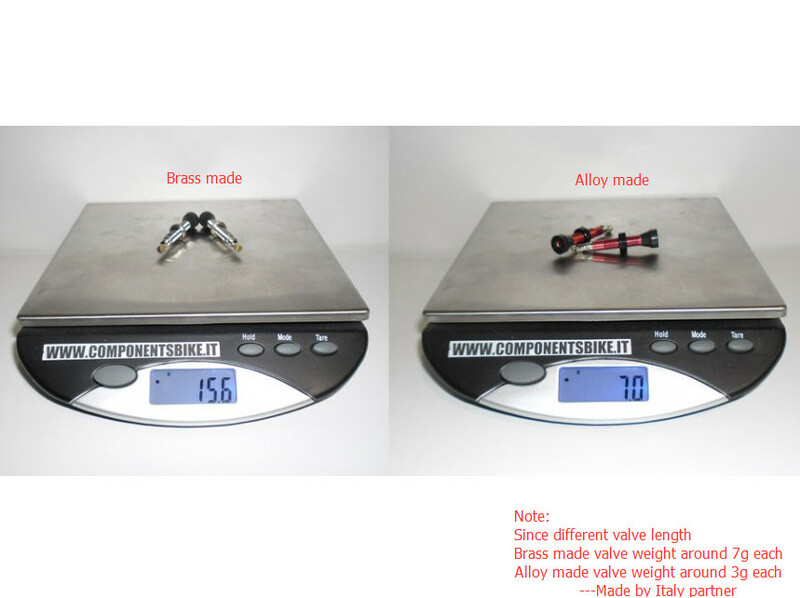 We’re confident in the quality of our products. 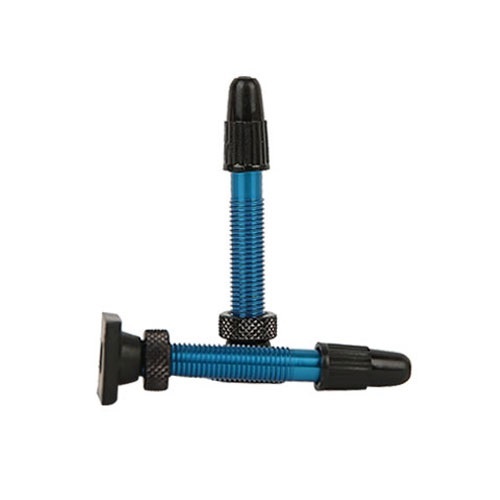 Contact us today to request a no obligation free sample of our products. 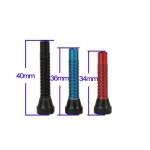 As a large volume tubeless valve manufacturer, our MOQ is 1000pcs per item/color.